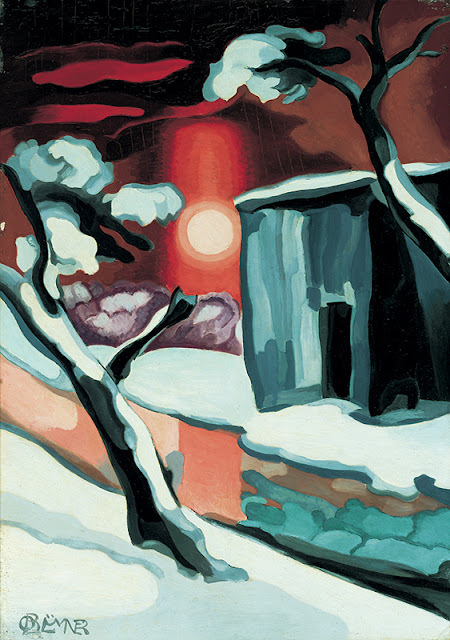 Artwork: Last Evening Of The Year, Oscar Bluemner, 1929, The Whitney Museum. Hane a nice year, Gaia. Health and peace to you and your family. You are the first blog i read every day the last four years. What a strikingly beautiful painting, and I love that guy's voice too. What "hane" was that? Oh, dear. I mean "have". Again, best wishes. Happy New Year! Your blog is one of my daily must-reads!If I didn't love it before I would love it for you turning me on to the Cousteau. How did I miss this band? Am now listening to the whole CD on Spotify.